Many people talk about "eliminating paper", but we have always meant it. This doesn't mean, however, imitating paper on the screen, which has become the current interface. It means going beyond paper to represent the connections which are present in the data. Here is the visualization we proposed in 1972. Being able to work with parallel documents, and see them connected side by side, is crucial. 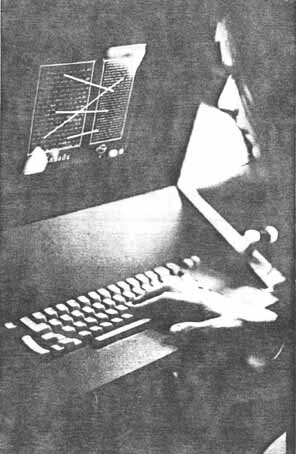 Note that computer windows as we presently see them were designed after this proposal, and represent a significant dumbdown of human capability. Yes, for over twenty years we were the only ones predicting hypertext-- let alone world-wide anarchic hypertext publishing. Properly-designed hypertext structure allows documents to be continually changed and still maintain their connections. The kind of hypertext we have been designing has never been seen: with links which can be followed in either direction, as well as the ability to see what parts of documents are identical (transclusion). This is not a link but a condition. Links connect parts which are different; transclusion means showing the heretofore-invisible connections between identical parts. Transclusion means, more properly, visible re-use. Transclusion makes possible a simple solution to the copyright problem-- at least, for on-line documents. This is transpublishing, where quoted contents are always delivered from the virtual original of the author or rightsholder. This could allow exact royalty payment for each download (which is obviously fair) and thus quotation without negotiation. 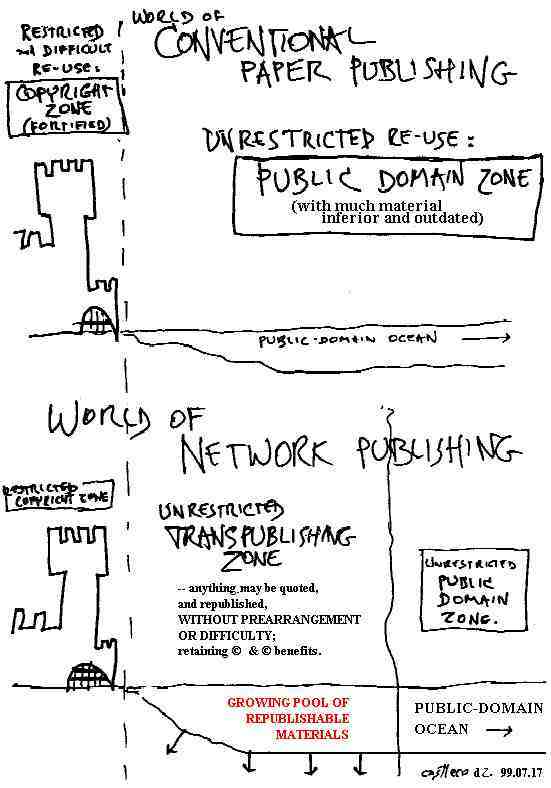 Transpublishing was always part of the Xanadu model; we are now investigating ways of handling it in today's Web environment. This includes the legal doctrine of transcopyright, which lawyers like. See our transpublishing pages at Keio University.